"In the digital realm, celebrities have fallen out of favor as brands are increasingly turning to social influencers on Snapchat, Facebook, YouTube and Instagram." "Businesses are making an average of $6.50 for each $1 spent on influencer marketing, according to a survey by Tomoson. And this year (2016), more than half (59 percent) of the 125 marketers in the survey are going to increase their influencer marketing budgets." In some way, large or small, we're all a media entity of one if we're posting on Facebook, Instagram, YouTube, Tumblr, Twitter, Vine, Pinterest and more. The question is, for a company or brand, how do you decide who to work with amongst the millions of Twitter posts, YouTube videos, Instagram photos, Snapchat posts and Facebook content created and uploaded daily? And once you decide WHO you want to work, WHAT is it that you can actually do? 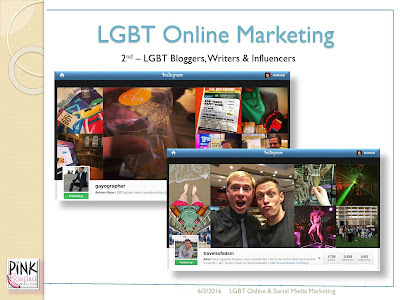 Bloggers with a strong social media outreach in general. 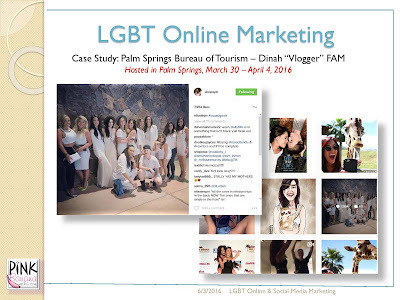 Photographers with a strong social media outreach on Instagram, Pinterest, Twitter and Facebook. 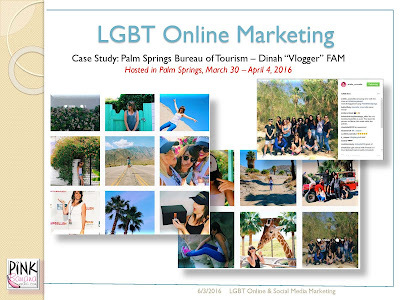 Video Bloggers, with a strong social media outreach on YouTube, and perhaps Twitter, Facebook, Vine and Instagram, to name a few. The common thread above is that an influencer has to begin with some sort of content, in the form of photos, videos or a blog. Most influencers do not rely on simple Tweets and Facebook status updates alone. 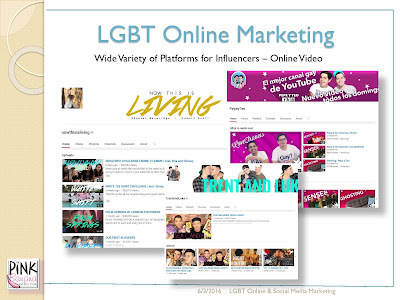 So starting with content shows us that even more traditional LGBT media can be categorized in the world of influencers, but with less of the uniqueness of personality a true influencer brings to the table. 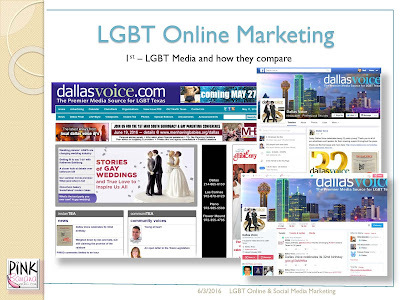 What we mean by that is if an LGBT media entity such as the Dallas Voice or the Washington Blade, both traditional LGBT newspapers started decades ago, can be relevant in today's day and age online with a well-designed website with standard banner ad units (728x90, 300x250, etc. 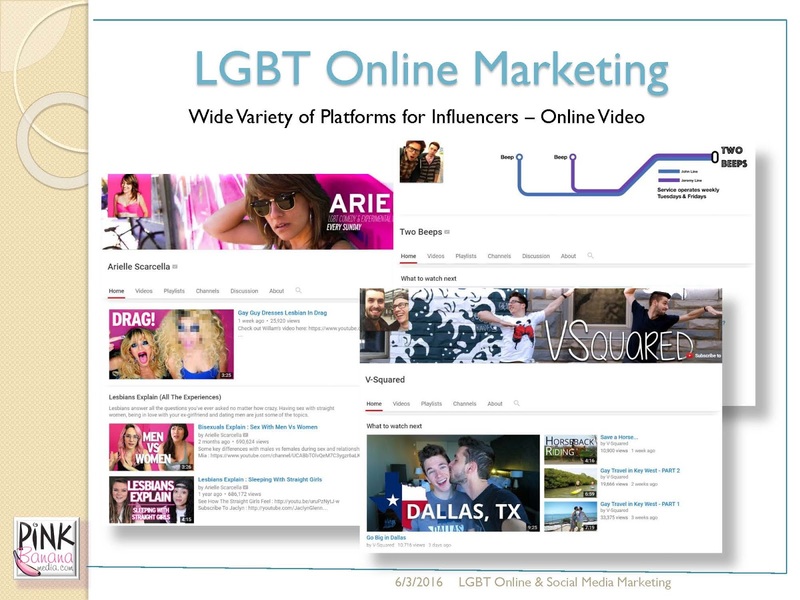 ), along with a strong social media following that is engaged with that media company, then it becomes a fine line when separating these entities out from influencers in an LGBT online marketing campaign. Often times, these traditional media companies have writers and editors with a strong online and social media following, and if they post on their own, yet on behalf of the media company they work for, they start to become on par with an influencer's strength in these online channels as well. 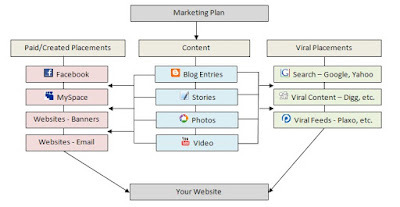 We find this distinction important, as most marketing campaigns are still a mix of website ads and editorial, mobile and app marketing, e-mail marketing and of course, social media marketing outreach. What sets the influencers truly apart is that they universally have a strong following via their social media channels of choice, and their audience typically has a much stronger personal connection with these individuals. 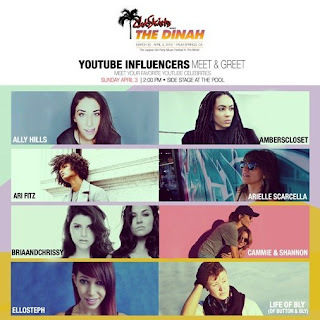 These influencers have put themselves and their personalities out there for all to see, for better or for worse, and it's this distinction that allows us to work with more and more companies that understand the power of traditional online media and can see the segue and connection from social media marketing (which is becoming more and more traditional nowadays) to individuals with a strong social media following. So first, before we go any further, the big question is "how do I get these influencers engaged and talking about my product or service?" If I'm a wine company, should I get a list of the top 100 LGBT influencers and send them all a bottle of wine with a nice, friendly note asking them to talk about me and write about my company? Before we answer that, let's look at another set of definitions - Paid, Owned and Earned Media. Paid, owned and earned media are the three forms of media exposure available to your business. Each has inherent pros and cons, and consumers do not trust them all equally. Paid media is any exposure that you have directly paid for. Billboards, advertisements in magazines, TV advertisements, sponsored social media posts, pay-per-click online advertising and so forth. Owned media is publicity that you have not directly paid for, but which you control, such as your social media accounts and your company’s own website. Earned media is media that you neither pay for nor have control over, such as the reviews that people write about your business, independent articles about your business in magazines or online, and comments on your own content. Consumers naturally trust earned media more than paid or owned media, and this is where social proof becomes truly valuable. So the simple answer is no, you don't just ship off 100 bottles of wine and hope for the best. Is it safe to pay a company to do this vetting and manage this process for you? Maybe. What's important here is to understand that once you enter into the world of influencers, it's a whole lot different than working with an ad agency to buy 100,000 banner ad impressions on a website. It's all about the relationship, and there's obviously no one rule that works for defining how people and relationships work. 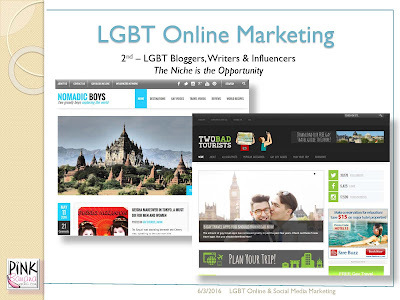 It's a whole lot more chaotic and unruly than that, which shows us that overall, the world of marketing & advertising when it comes to influencers is going to lean more towards those groups of individuals who have a decent understanding of people, along with the requisite people skills to help these relationships along. We'll elaborate further below. So the first question once we've gotten this far is "how do we find them?" There will always be a variety of options here, including working with a company that manages talent and celebrities, etc. Our advice is that, unless you have a pretty healthy budget, you should focus on working with a few smaller influencers rather than shooting for one big one. 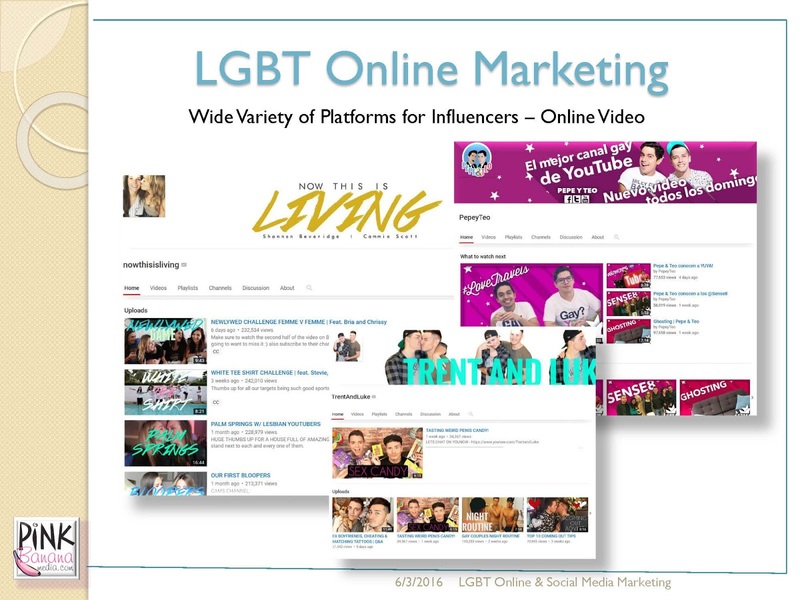 Influencers such as Tyler Oakley have made the leap to celebrity status, and working with them entails working with their agent. Smaller, or what we like to define as "regular" influencers, are easy to find... if they were hard to find, they wouldn't really be influencers now, would they? If you're regularly active in your social media channels, especially when it comes to monitoring hashtags relevant to your business, then identifying the right influencers for your company becomes relatively easy. They are the ones regularly posting, and their posts are of the quality that is a good match for your business. The folks commenting, sharing and liking their posts are also the types of people you'd like to attract to your business. 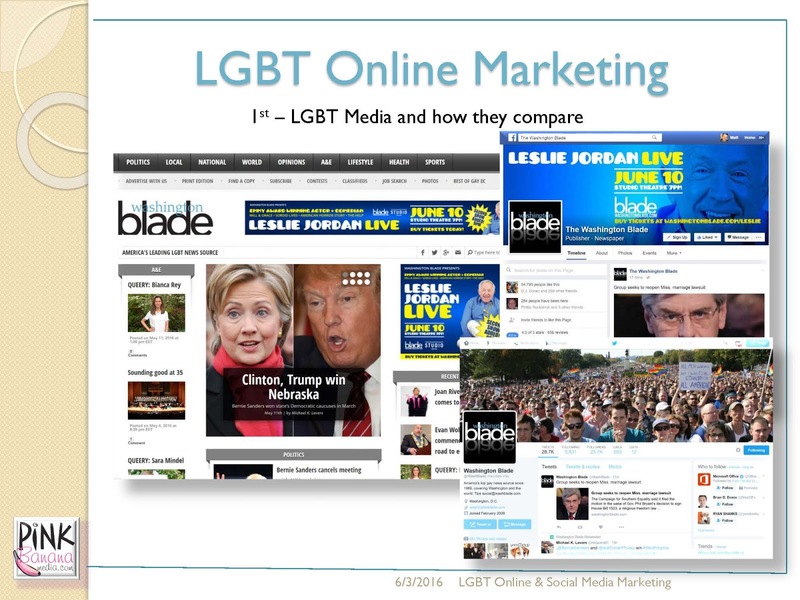 We use a combination of TweetDeck (HootSuite works equally well) and TagBoard to get a better sense of who is saying what in these online conversations. 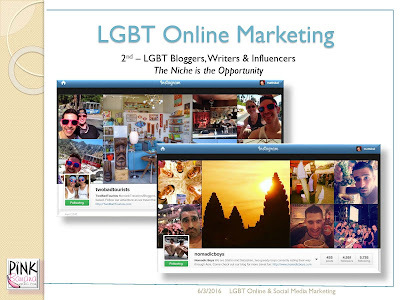 Over time, we find ourselves interacting with these influencers, whereby they share our posts and we share theirs. Sometimes they ask us to help them with an online contest or campaign for one of their clients, and we may do the same. Next thing you know, you've now developed a group of influencers that can work well for your business. Paying them to help you get the word out for your business, or for one of your clients, becomes a no-brainer, as the vetting process is now already done. Over time, new influencers will come along and some of the original ones may fade away as their interests evolve and change over time. That's the beauty of it... as long as you as a business are maintaining a personal relevance in these online channels, you'll always be on top of it all when it comes to keeping your business relevant as well. If you don't have the time, nor interest, in doing the above activities on a daily basis, then what you need to do is find someone, or a company, that does. And that's how you truly find your best influencers. It's a complete do-it-yourself environment, where you can also hire someone (or a company) that is well positioned with these online relationships all in place. This should also make it clear that it will be tough for any one company to be "all things to all people" when it comes to relationships with influencers. The work involved on your part, as a business, is to figure out for your business niche, whether it's LGBT travel, sports, entertainment, etc. who you can work with to navigate this field and have true influencers working with you to help spread the word about your product or service. And that's what our company, Pink Banana Media, does for our clients. We also pay attention to what others are doing successfully out there in this space as well. Marriott this year decided to take their #LoveTravels campaign to a whole new level, enlisting popular social media ambassadors and LGBT supporters from around the world to spread the #LoveTravels message, including Jazz Jennings, Miles Jai, Pepe y Teo, Shannon Beveridge and Cammie Scott, and Trent and Luke. Marriott continued this campaign through to DC Pride in June 2016, inviting and hosting several of these influencers and continuing the #LoveTravels conversations into the "real world" as these folks marched in the parade with Marriott and tweeted and posted about their entire weekend's experiences, while including Marriott and #LoveTravels all along the way. Palm Springs Bureau of Tourism put together a lesbian "vlogger" campaign tied in with The Dinah. They brought in 8 lesbian YouTube video influencers and set them loose on The Dinah held the 1st week of April 2016. The results were several hundred thousand video views and likes, Instagram and Facebook likes and comments, and Twitter likes and retweets. The LGBT travel world gets it! 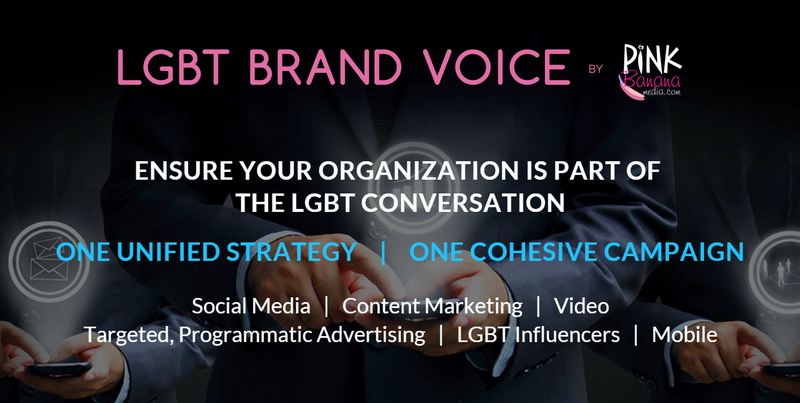 Bringing together an influencer group such as this is unprecedented in the LGBT media space, and will only continue to grow and evolve in the years to come. 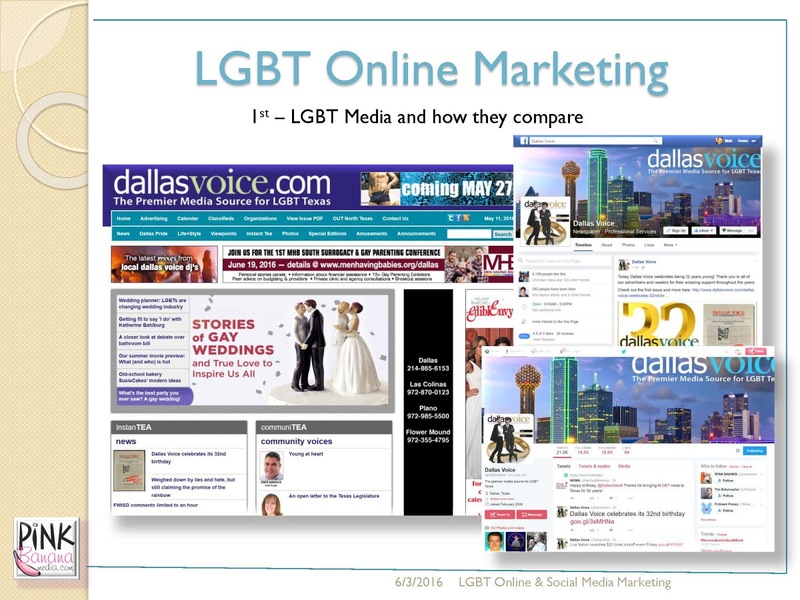 As online marketing continues to evolve in the coming years, the one adage will still ring true... we're now speaking "with" people and not "at" or "to" people when it comes to our outreach strategies in today's world!